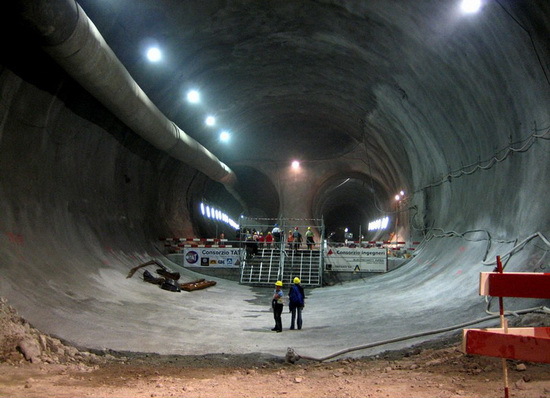 The Gothard Base Tunnel, located beneath the Swiss Alps, will soon be the longest railway tunnel in the world. Set to be completed in 2017, the $12 billion project will be longer than the undersea Seikan Tunnel in Japan. The tunnel, spanning more than 35 miles (56km), is expected to boost trade and travel in Europe. 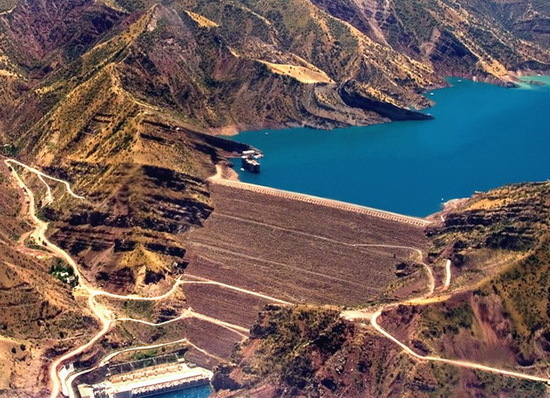 The Nurek Dam, located on the Vakhsh River in Tajikistan, is the tallest engineered dam in the world. The nearly 1,000-foot (305m) cement dam was completed in 1980 and the 4.0 gigawatts of power it generates is enough to meet 98 percent of the country’s electricity needs. 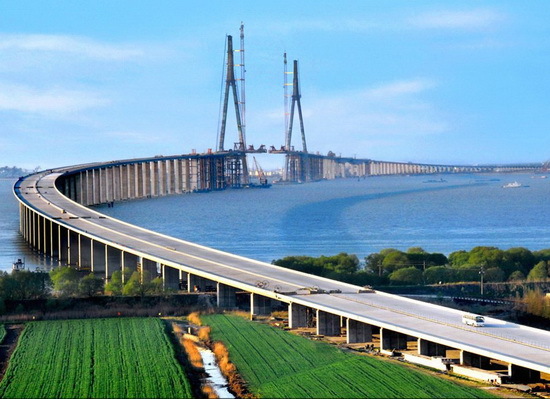 Spanning more than 5 miles (8km) above the Jiangsu Province in China, the Suzhou-Nantong Highway Bridge is the world’s longest cable-stayed bridge. The bridge has linked the two prosperous cities of Nantog and Suzhou, shortening the journey between the two from a four-hour ferry ride to just a one-hour drive across the bridge. 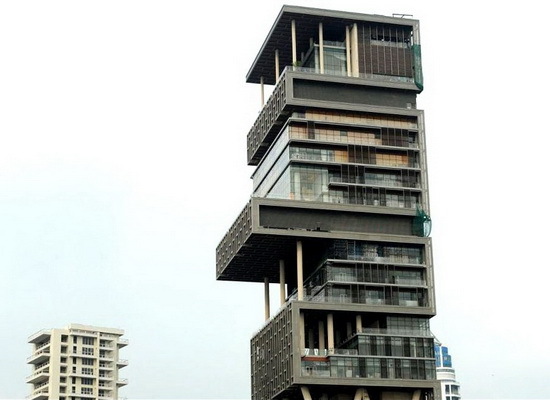 A 27-story skyscraper in downtown Mumbai carrying a price tag near $2 billion is the world’s first billion-dollar home. The home is owned by India’s richest man, Mukesh Ambani, who runs the country’s largest private sector company. 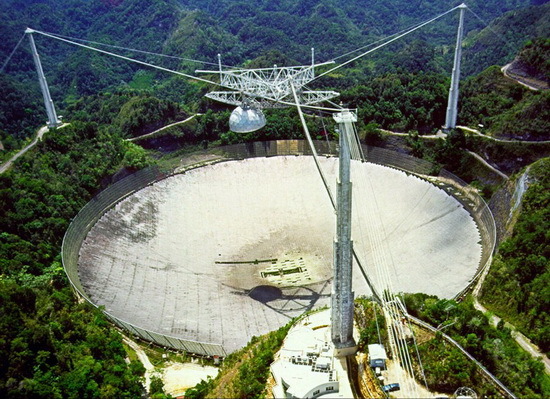 You might recognize the Arecibo Observatory from the Bond movie “GoldenEye.” Located in San Juan, Puerto Rico, it’s the world’s largest single-dish radio telescope. The dish allows scientists to study nearby planets and the ionosphere. Each year more than 100,000 people visit the 1,000-foot-wide (305m) telescope. 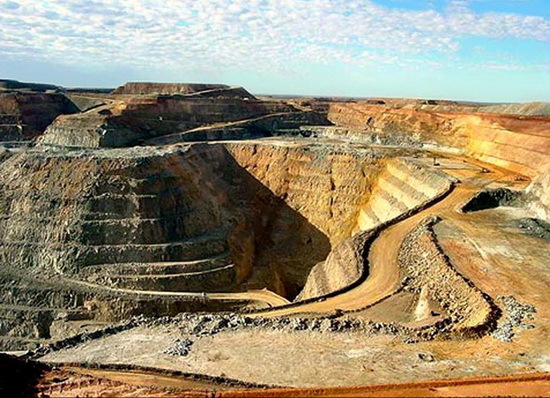 South Africa’s Mponeng mine is the world’s deepest, sending miners 2.4 miles (3,9km) underground in search of gold. It’s so deep, it could fit 10 Empire State Buildings stacked on top of each other, says the Financial Times. Russia's Trans-Siberian Railroad (5,753 mi or 9,259 km) is the longest train track in the world. The track connects Moscow to the far east of Russia and the Sea of Japan. 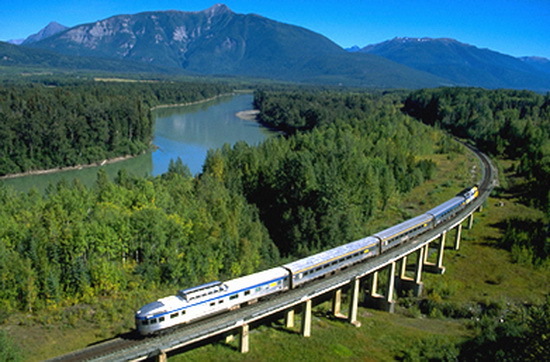 An important economic and military development, the Trans-Siberian Railroad has been credited with the growth of several larger cities in Siberia. 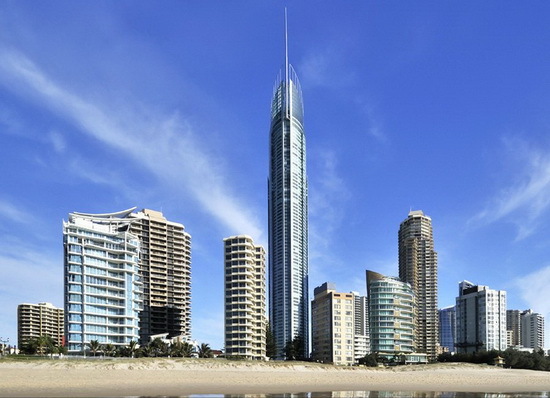 The world’s highest residential high-rise building is located in Gold Coast City, Australia. The Q1 Tower is both a resort facility and offers exclusive luxury apartments with a “stunning beachside location,” an observation deck 771 feet (235m) above the ground, and 360 degree views of the city. 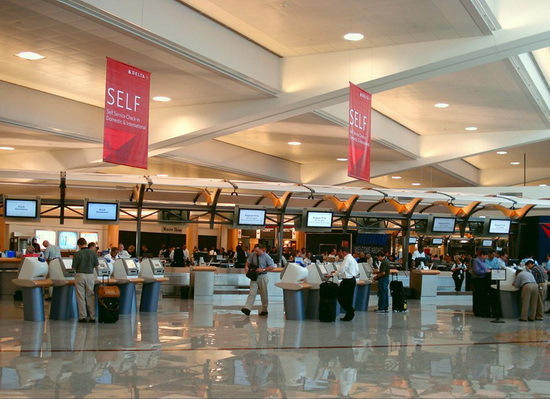 The busiest airport in the world is the Atlanta-Hartsfield Airport in the U.S. The Georgia airport saw 89 million passengers in 2010. It’s also notorious for lengthy delays. 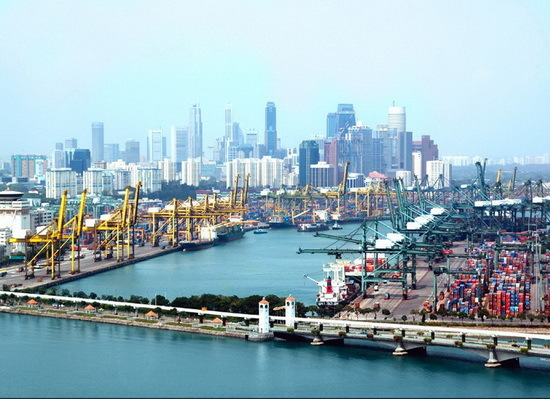 The port of Singapore is the busiest seaport in the world, handling more than 25 million shipments each year. At any given time there are nearly 1,000 vessels in port with one ship leaving/arriving every three or four minutes. 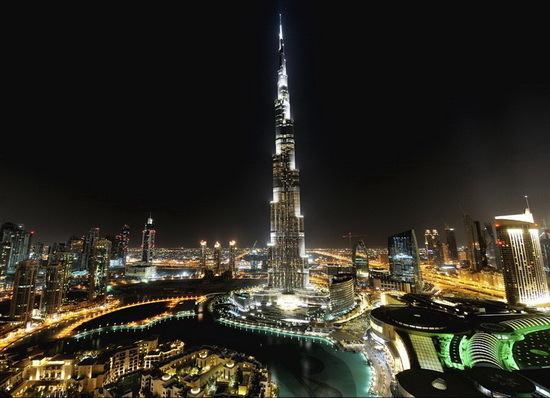 At a height of 2,700 feet (823m), the Burj Khalifa in Dubai has 162 floors and was completed in 2010. If you’re looking for sheer quantity of skyscrapers, Hong Kong has the largest number of high-rise buildings in the world. As the world’s largest subsea pipeline, the Langeled pipeline transports Norwegian natural gas to England. The pipeline is 745 miles (1200km) long, and over 1 million tons of steel were used in its construction.